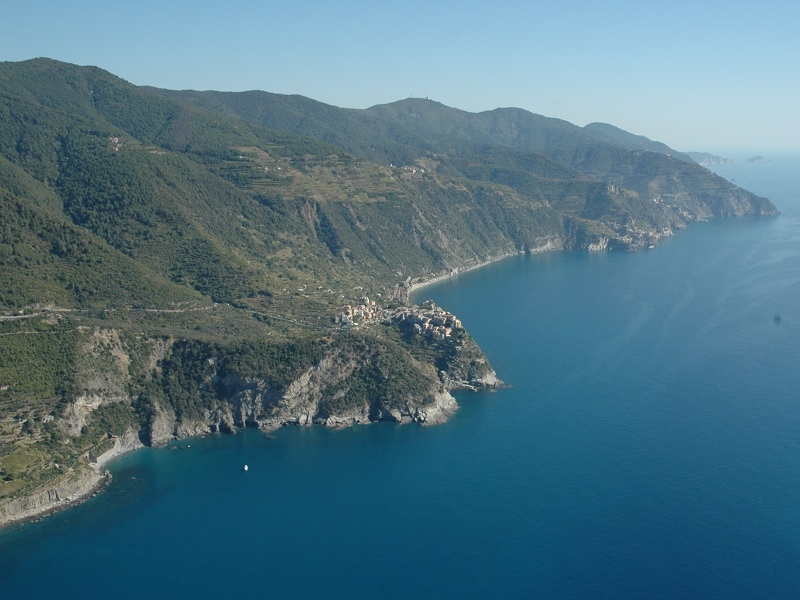 The coast between Riomaggiore and Monterosso is high, indented, with few inlets and promontories. The villages lie by the mouth of those streams whose basins sometimes extend over only 3 km. The only exception is the Vernazzola stream, at the mouth of which it rises Vernazza, with a basin extending over 7 km and originating from the mount Malpertuso (812 m), the most significant elevation in the mountain chain between the Cinque Terre and the Val di Vara. 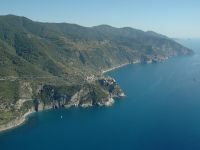 The soil of the Cinque Terre is characterized by a rocky structure. The territory's geological history is complex, and many rocks are present. Ophiolites, rich in iron and magnesium, erupted as undersea lava in far away ages, are present between Monterosso and Punta Mesco. The cliff between Monterosso and Riomaggiore consists of sandstone: the zebra rock belongs to this formation. In Manarola one observes dark rocks with a chaotic structure, belonging to the Canetolo complex (argillite with calcareous sediments). East of the Cinque Terre also polychrome schists emerge (marls and argillites).